St. Petersburg, Fla. made The New York Times list of top 52 destinations in the world to see in 2014, and Tbo.com reported that St. Pete is gaining global fame as a hip destination. The city is vibrant with restaurants, quaint shopping, and cultural events almost every day of the week. Home buyers are now looking south of Downtown St. Pete as prices have become out of reach for many in the heart of downtown. 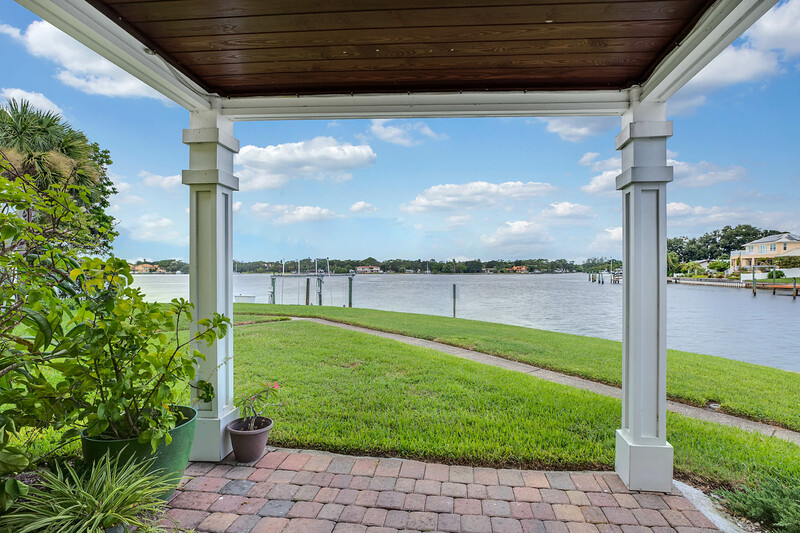 What makes this unique waterfront community one of St. Petersburg’s best neighborhoods? Let’s start with a little history. The land that makes up this waterfront enclave of townhomes was once owned by a famous Banker, Hubert Rutland. He and his family purchased the property in the 1930’s and lived there for about 50 years. The original Rutland mansion is 10,000 sf and was situated on 14 acres of waterfront land . In 2005 D.R. Horton built Banyan Bay Townhomes which is now located on 10 acres of the original parcel overlooking Little Bayou. There are literally dozens of Banyan trees surrounding this majestic property. These enormous historical Banyan trees are not only breathtaking, they also represent eternal life and are considered sacred in many cultures. On the opposite side of this luxury gated development, there’s a 1.7 acre conservation area, as well as, Lake Vista Park. Other nearby parks include Boyd Hill Nature Preserve, The Nation’s Best State Park and beach- Fort DeSoto 10 minutes away, Top-rated St. Pete Beach 10 minutes away, Maximo Park and Boat Marina 5 minutes. The Spanish-style homes – 27 duplex units – have barrel-tile roofs, stucco exteriors, two-car garages, covered lanais, and balconies. Every unit is an end-unit! Unique features of this unit include: One of the best and largest backyards, extra long paver driveway, hardwood flooring on first floor and custom blinds. The community has a first come boat slip available for short-term docking. Why pay an extra 100k for a deeded slip? Have a kayak? There’s even free kayak storage on site! 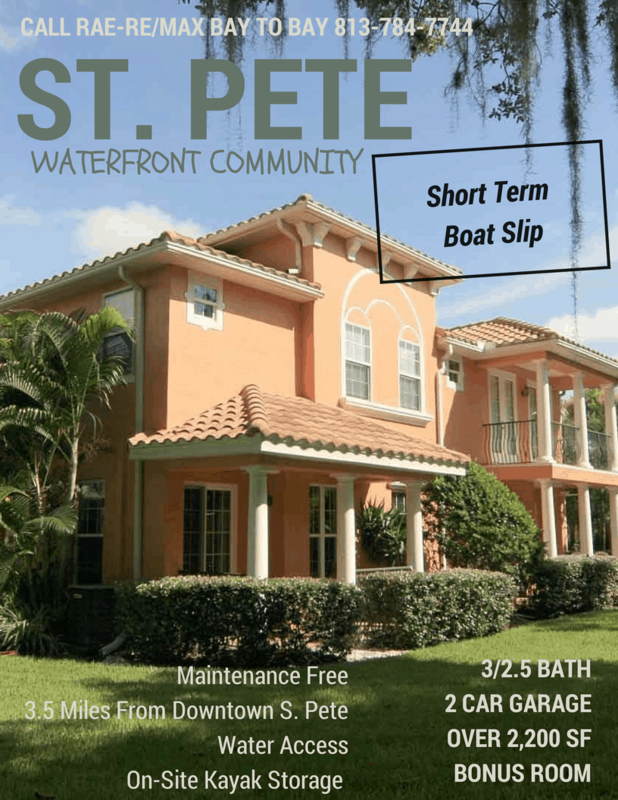 Come see what you’ve been missing and what you can get for the money by exploring one of St. Pete’s best neighborhoods! Schedule your appointment today! If the Pink Streets and Baynan Bay aren’t what you are looking for, you should definitely check out the Downtown St. Pete area. Here’s a list of Downtown St. Petersburg homes, condos and townhomes for sale. Rae provided me exceptional customer service value in the purchase of my home. She listened to exactly what I was searching for and found the perfect property that matched my personality and needs.